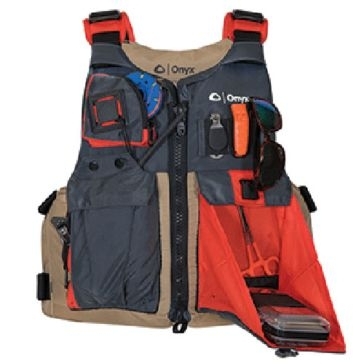 From an Onyx kayak fishing life jacket to an Onyx dog life jacket, this Minnesota outdoor products company makes all kinds of personal flotation devices to keep things safe and secure when you’re on the water. 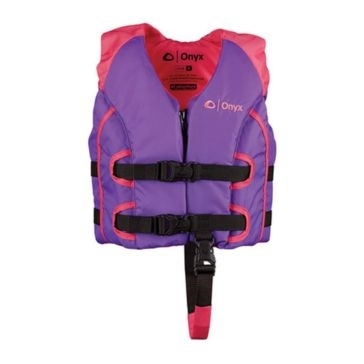 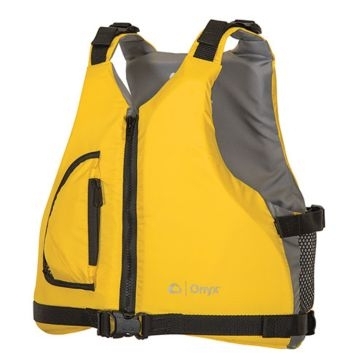 At Farm and Home Supply, we carry a big selection of Onyx life jackets and boat cushions for adults and kids. 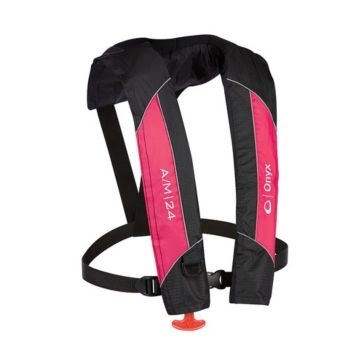 That means you can concentrate on fun when you take your family and friends with you on watery adventures, knowing these products are designed to keep everyone safe and secure in the event of a mishap. 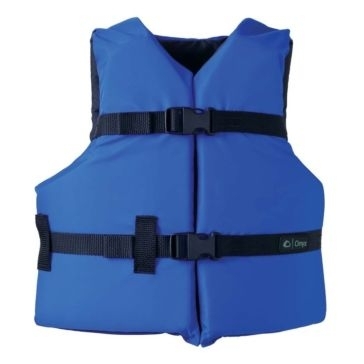 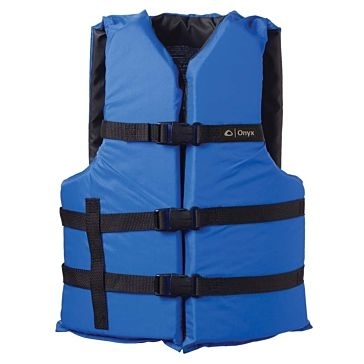 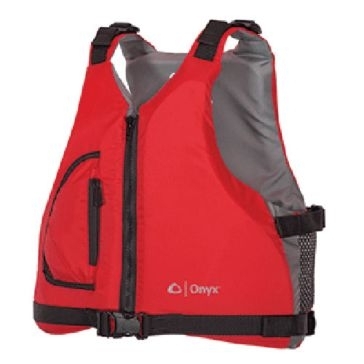 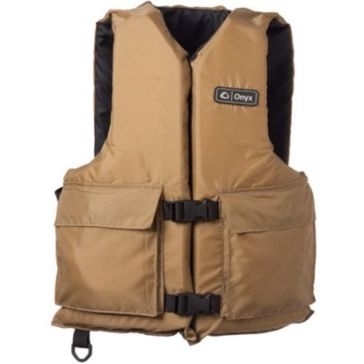 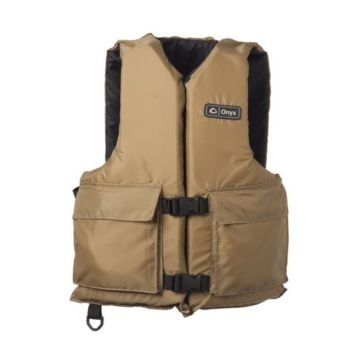 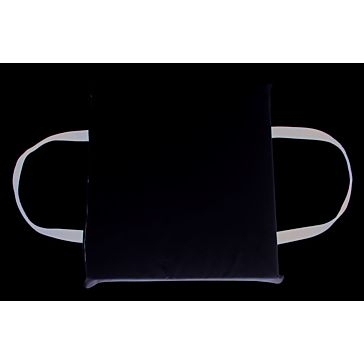 Our Onyx life preservers include traditional, economical life vests like Type II vests. 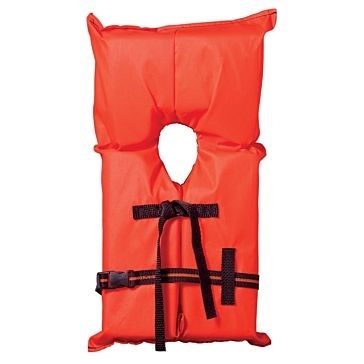 Available in youth and adult sizes, these orange vests are designed to turn an unconscious person face-up in the water. 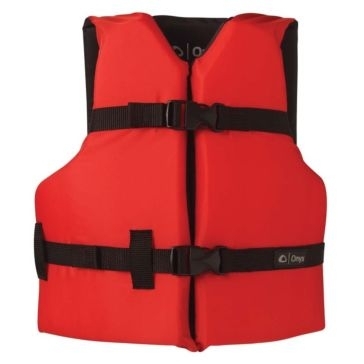 They are less bulky and more economical than Type I offshore life jackets and provide basic flotation for boating enthusiasts. 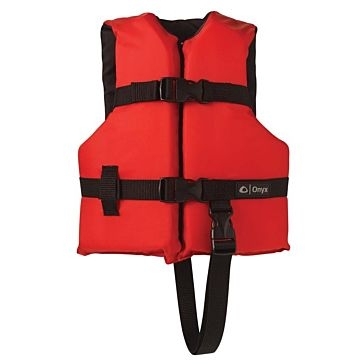 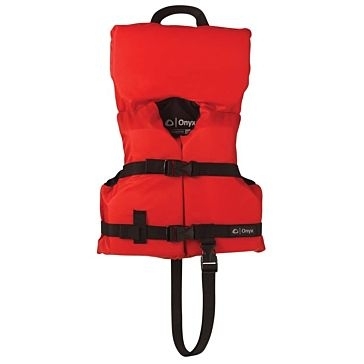 We also carry universal general-purpose life vests for adults and kids in a variety of sizes. 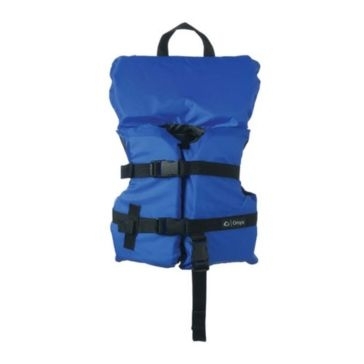 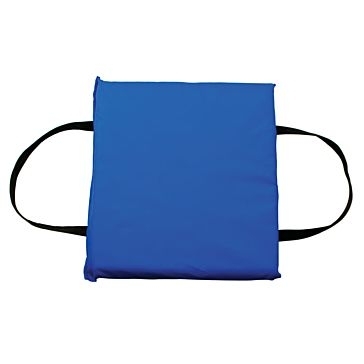 These life preservers feature adjustable belts and chest straps and lightweight, durable foam construction. 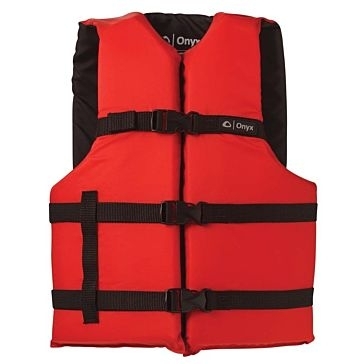 For the ultimate in comfort, consider an Onyx adult automatic/manual inflatable vest. 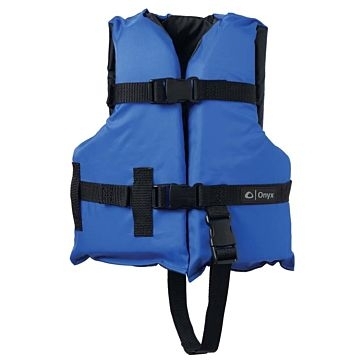 These are so lightweight and comfortable, no one will mind wearing them all day. 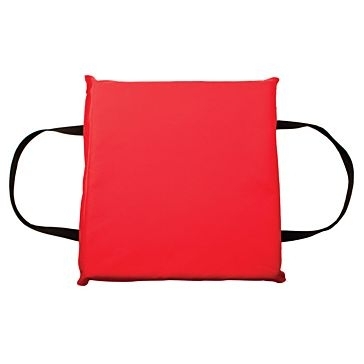 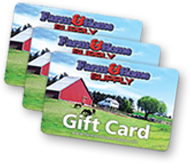 In case of emergency, they can be easily inflated with a CO2 cartridge or manually. 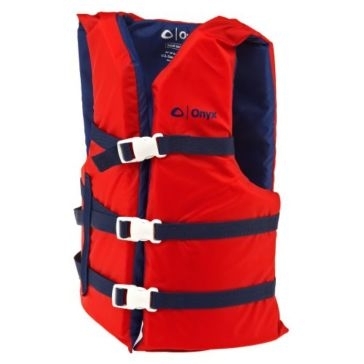 For comfort and safety, it’s also wise to carry some Onyx boat cushions on board. 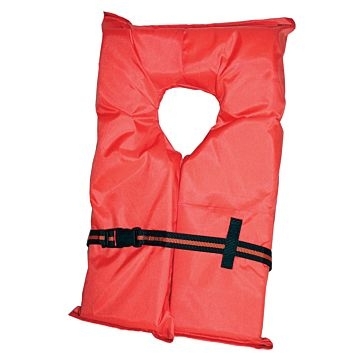 Besides making comfortable seats, these Type IV PFDs can also be thrown to anyone who falls overboard to help keep them afloat until they are plucked out of the water.